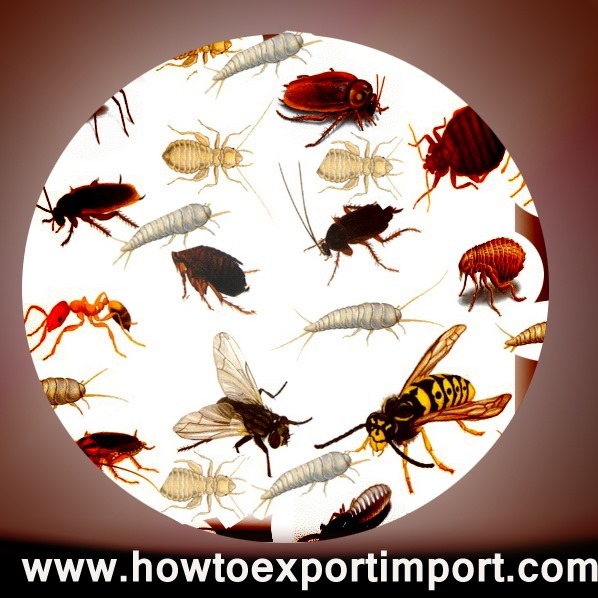 In an export trade, this is a common question – How to get Phyto sanitary certificate, What is Phyto sanitary inspection. Who issues Phyto sanitary certificate, Procedures for phyto sanitary etc. The phytosanitary certificate is an official declaration stating that plants and plant material exporting are free from pests and diseases, so as to prevent introduction and spread of any pests in the importing countries. Phytosanitary certificate procedures are undertaken as per the guidelines of National Plant Protection Organization (NPPO) or equivalent authorities in a country, certifying to meet import phytosanitary requirements. Each country has designed certain parameters to meet with the phytosanitary requirements of foreign countries, as per the guidelines of WTO agreement which is an integral part of final Act of General Agreement of Tariff and Trade GATT 1994 with regard to protection of human safety or health, protection of animal and plant life or health and also protection of the environment. (d) To prevent or limit other damages within the territory of the member from the entry, establishment or spread of the pests. Surendran Kollerath: On 10 March 2014 Hi Alexis, I have mentioned in separate article about full address of offices in India to obtain Phytosanitary certificate. You may contact said office to know present cost to obtain phytosanitary certificate. harish: On 25 May 2014 DEar sir, I am new to export business. i want to export coconut andcashew nuts. hoow to obtain Phytosanitary certificate?. Do i need to carry full cargo to that office or hav to carry samples?.. Muhammad Aamir Naeem: On 15 October 2014 Dear Sir/Mem please send me complete detail regarding Phyto Sanitary Certification i need this certification for Guar Seed Export to Nairobi Kenya. Thnx & Regards. Muhamamd Aamir Naeem Guar Technologist & Consultant Pakistan +2321394415. Shivaprakash TS : On 12 February 2015 I am Shivaprakash TS an agri graduate practicing medicinal and aromatic crop cultivation in Mysore. Recently I took up a trail on Melaleuca alternifolia (teatree aromatic crop) crop In our field. The crop is native of Australia. In the trail the crop performed very well and the oil quality is very good. Now I am planning to expand the crop for commercial production. The quantity of seeds is 100 grams. The seeds are very minute and each gram contains around 2000 seeds. We have to buy the seeds from Australia, it is not available any where in India. I need your suggestions on below mentioned points. 1. Do we need phytosanitory certificate from the seller (Australia) for the quantity of 100 grams. 2. Who has to give the phytosanitory certificate is it from australia or from India. 3. What can be the cost for getting the certificate? 4. Do I need to get certificate from both the countries ie Australia and India. Sales: On 08 July 2015 I have a client in India who asked me to source beech wood fresh cut from UK . 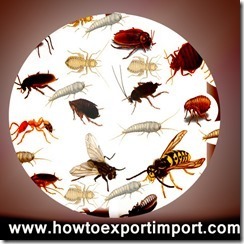 To obtain the Phytosanitary certificate the container need to be fumigated and fumigation cost here in UK would be GBP 500 |( Minimum ) per container and my client in India feels this is high and looking at the possibilities of doing fumigation in India and obtaining the Phytosanitary certificate on arrival . Is it possible . Please clarify . Kumar Enterprise India: On 24 August 2015 Can we apply for a phyto sanitary certificate to send some leaf plates from India to Germany without IEC code ? Alex Khai: On 18 April 2016 We are from Vegion Biotech Company which is one of among strong and largest Coconut producers and exporters in Viet Nam.We have coconut products as Fresh Young Coconut, Dried Coconut. Our products can export to Europe, America, Middle East.... Our mission is to achieve a long lasting business co-operation with all our clients on the basis of reliability and mutual benefit. Nikhil: On 18 April 2016 I am from Manifest Import & Export Pvt Ltd which is based in Pune, Maharashtra. We have one doubt & need your help on this issue. Please help us to resolve below mentioned issue. We are buying Cashew Nuts from Tanzania & selling it to Canada. So Canadian buyer is issuing LC (at sight) to us & we will issuing LC (15 Days) to our Tanzanian supplier. Our buyer (canada) is taking care of shipping charges, he has asked for FOB prices. Where as supplier has provided us FOB prices. In order to proceed further with this contract I have following questing 1) What should be Importer & Exporter name on Bill lading? 2) If Exporter Name is Tanzanian Supplier & Importer Name is my company name (Manifest) then is it ok to get cleared my LC? 3) If Exporter Name is Tanzanian Supplier & Importer Name is my Canadian buyer then is it ok to get cleared my LC? 4) What should be the procedure to execute this trade? If we are going in wrong direction please let us know what is the procedure? 5) Please let us know if you could provide us your consultation in this. Shweta Singh: On 23 February 2017 Thanks for the information. kumar: On 11 May 2017 Dear all can any one say how to obtain Photo Sanitary Certificate for Rice ,, in Hyderabad. MAHA: On 12 December 2017 CURRENTLY EXPORTING HOTEL FURNITURE (METAL BASE WITH WOOD TOP-CHAIRS & TABLES) TO INDIA. DO THE CUSTOMS THERE REQUIRE FOR PHYTO CERT? hammad mirza: On 13 October 2018 How to obtain phytosanitary certificate to export rice ?